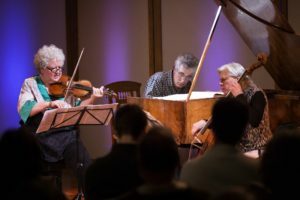 Over the last two generations, the historical performance movement has given the world both a vast and growing body of rediscovered masterworks and whole new ways of understanding and hearing the music of past eras. We have reinvented early music in our reconstructions of lost technologies and performance practices. We have reimagined it through the lens of deeper historical insight into its aesthetic values and the cultural background on which it was created; and we have redefined it, not as a primitive art to be reappropriated for modern appreciation, but as richly meaningful in its own terms. As the movement has matured, not only has the artistic quality of performances blossomed, becoming more impressive by the year; artists have brought new discoveries and insights to an ever broader range of historical music. 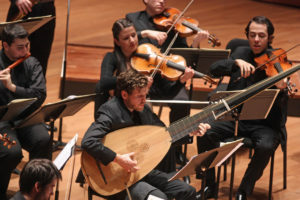 Each Berkeley Festival is unique, exploring different aspects of our great artistic legacy from the grand sweep of western music. BFX 2018 continues this exploration, extending the both the corpus of early music and the insights of historical performance to new bodies of music and new voices, and to new considerations of the performance practices, technologies, and the social contexts of historical music. For the first time, BFX explores the expansion of historically informed performance practices to music of the Romantic era. In an age of digitally synthesized music, the strings, winds, and percussions of the modern orchestra already are “historical instruments.” Beethoven, Schumann, and Debussy wrote with specific instruments in mind, and hearing their music performed on those instruments opens their work to fresh insight. Musicians of the Valley of the Moon Festival perform works exclusively from the Classical and Romantic eras on instruments of those periods. On Saturday, June 9, they will present a 19th-century salon-style concert featuring works of Franz Schubert and Robert Schumann. 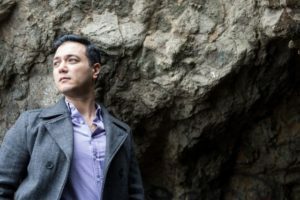 American tenor Nicholas Phan, considered by Opera News as “one of the most beautiful young lyric voices around,” will perform a selection of lieder by both composers. Directors Tanya Tomkins (cello) and Eric Zivian (fortepiano) will join fellow festival musicians for Schumann’s chamber masterpiece Piano Quintet in E Flat Major, Op. 44, with Schubert’s Quartettsatz completing the evening. Exploring this theme further, the Festival presents the first International Early Piano Competition, co-produced by BFX, San Francisco Early Music Society, and Valley of the Moon Music Festival. The competition will focus exclusively on works from the Classical and Romantic era and played on historically appropriate instruments. The final round on June 7 is open to the public and the winner will receive a cash prize and the opportunity to perform chamber music in concert with Valley of the Moon Festival musicians this summer. At the other end of the historical continuum, two unique programs by Sequentia delve deep into the medieval roots of Western music. On Thursday, June 8, the legendary Paris-based ensemble, making their Festival debut under the direction of its founder, the great performer/scholar Benjamin Bagby, presents a reconstruction of Latin songs from one of the most significantly influential texts of the Middle Ages: Consolation of Philosophy of Boethius (d. ca. 526). The Roman philosopher Boethius wrote the book while in prison on death row, and the various songs from this were eventually set to music and sung frequently in monasteries and cathedrals in the 9th-12th centuries. Considered lost for centuries, the melodies were recently reconstructed by University of Cambridge musicologist Sam Barrett from enigmatic notation copied in manuscripts for Canterbury monks. This performance is the first time that the songs will be heard in over a thousand years. Sequentia’s second program, Friday, June 9, explores an entirely new aspect of music during the pre-Gothic period, shifting away from traditional chant and liturgical music to decidedly un-Christian songs, pagan songs taught to students at Monastic schools as an aid to learning Latin. These wonderful songs recount myths and legends the old Pagan gods (Woden, Zeus, Bacchus), of men and heroes (Hercules, Orpheus, Boethius, Caesar) and of powerful female figures and goddesses (Valkyries, Fortuna, Philosophia, Cleopatra, Dido, Venus, the wild Ciconians). This rich trove of European vocal art bears witnesses to a vibrant culture where Christian monks gave voice to their pagan ancestors, passing on stories and ideas which resonate to this day. Several other programs this year present voices and images of powerful women. Soprano Christine Brandes and violinist Elizabeth Blumenstock feature cantatas of retribution by Nasty Women in their French baroque program on June 4. Elizabeth Jacquet de la Guerre’s Judith re-tells the Biblical story of its heroine’s triumph over the evil king Holofrenes, while Nicholas Clérambault’s Medée recounts the Greek myth in one of the most powerful works of the age. 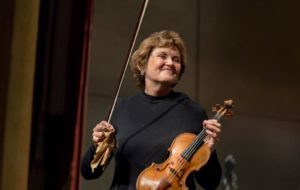 On June 5, students and alumni of the San Francisco Conservatory present Two Baroque Girls, a program devoted entirely to works written by women during the baroque era, including the sonatas and chamber music by 17th- and early 18th-century composers Jacquet de la Guerre, Maddalena Lombardini, Isabella Leonarda, and Anna Amalia. Voices of Music and the GRAMMY award-winning San Francisco Girls Chorus will co-present a concert version of Henry Purcell’s Dido and Aeneas in two separate performances, Thursday June 7 and Saturday June 9. The composer’s only full opera was first performed at Josiah Priest’s Girls School, London in 1668, yet no existing musical score survives. As a result, performances maintain a certain degree of artistic flexibility in interpretation. These performances will serve as a recreation of what may have been heard by audiences at this time. The Thursday performance will also feature a first half program dedicated entirely to the music of Vivaldi. Valérie Sainte-Agathe will lead the San Francisco Girls Chorus in a performance of Laetatus Sum, RV 607 while baroque violinist Alana Youssefian will feature as soloist alongside Voices of Music in Concerto per la Solennità della S. Lingua di S. Antonio in Padua, RV 212. Led by Directors David Tayler and Hanneke van Proosdij, Voices of Music is one of the most important new ensembles to have emerged from the Bay Area’s rich early music and recently celebrated its milestone 10th-Anniversary season in 2016–2017. 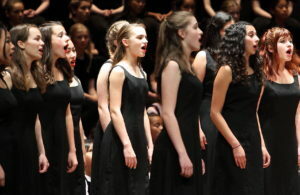 San Francisco Girls Chorus’s collaboration with Voices of Music continues its ongoing partnerships with prestigious organizations and ensembles such as San Francisco Opera, Kronos Quartet, Philip Glass Ensemble and Opera Parallele. The Festival also expands the geographical range of early music in a program of works from Colonial Latin America by Stephen Stubbs and Pacific MusicWorks. 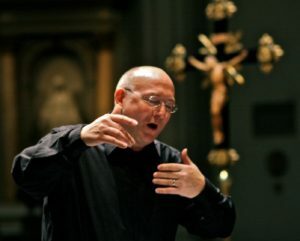 Stubbs, who for three decades had a flourishing career on the Continent, both as a soloist and a member of major European Ensembles, returned to his native Seattle in 2003 to become a conductor of both opera and orchestral works and to create an ensemble great power and versatility in Pacific MusicWorks, helping to significantly raise Seattle’s stature as a center for early music. 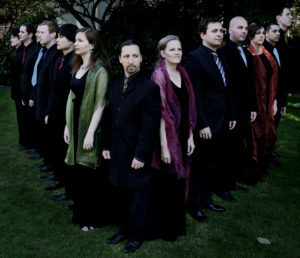 Cantata Collective, the Bay Area’s only professional ensemble that exclusively performs the cantatas of J.S. 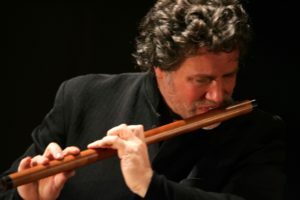 Bach, appears in concert on Saturday, June 9. The program features a selection of arias, sinfonias and dances from the cantatas, featuring oboist Marc Schachman, organist Avi Stein and soprano Sherezade Panthaki. 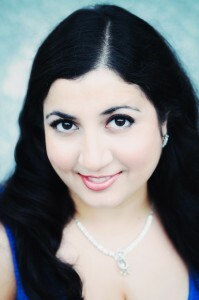 Praised by the San Francisco Chronicle for her breathtaking combination of expressive ardor, tonal clarity, technical mastery and dramatic vividness,” Panthaki is a recognized international star in the Early Music field and frequently collaborates with other leading figures and ensembles throughout the world. Bach’s Wedding Cantata, BWV 202 concludes the performance. Georg Philipp Telemann’s complete Paris Quartets (1730) will be performed by an all-star cast from the Philharmonia Baroque Chamber Players. Besides the program by Brandes and Blumenstock, there will be concerts of French Baroque music by California Bach Society, who will perform some of Marc-Antoine Charpentier’s finest sacred works; Quicksilver, in a program of English and French baroque chamber music from the reign of Charles II, and Juilliard415 performing Forqueray, Couperin, Rameau, and de Visée. The acclaimed historic brass consort Dark Horse will perform a glorious concert of late Renaissance and early baroque canzonas and sonatas from Venice; and virtuosi Jory Vinikour and Philippe LeRoy will appear in a dual harpsichord recital featuring music from across baroque Europe, including works of François Couperin, Wilhelm Friedmann Bach, and Padre Antonio Soler. An important part of the Festival is encouraging the love and performance of early music in coming generations. Several concerts celebrate the future of historical performance with talented young artists—from primary school through high school, college, and conservatory—as part of its Young Artist Series. 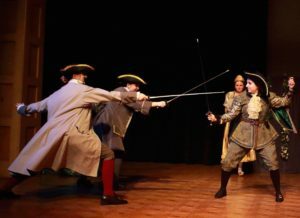 On Sunday, June 3 at 4:00 p.m., Seattle Historical Arts for Kids (SHAK) will present an hour-long spoken play that includes arias and choruses from Handel’s Serse performed by a youthful cast of 8-year-olds to teens. A recipient of the 2017-2018 Early Music America Outreach Award, SHAK has been introducing young people to 12- to 18th-century music, dance and theater for over thirteen years through its year-round music academy and school programs. Focusing entirely on works by women during the Baroque era, San Francisco Conservatory of Music members and alumni will present the works of Maddalena Lombardini, Elizabeth Jacquet de la Guerre and Isabella Leonarda on Tuesday, June 5 at 11:00 a.m. Directors Corey Jameson and Elizabeth Reed will lead past and present Conservatory instrumentalists Sarah Bleile and Shelby Yamin (baroque violin), Eugenio Solinas (baroque cello) and Andrew Wang, (harpsichord). BFX welcomes back the Davis High School Baroque Ensemble that same day for a 4:00 p.m. concert that features a selection of works by Antonio Vivaldi, George Frideric Handel, Henry Purcell and Jean-Baptiste Lully. Led by Director and Conductor Angelo Moreno, the Davis High School Baroque Ensemble was the first of its kind to be established in a United States public high school. Over the past twelve years, it has grown to four times its original size and students perform on instruments that have been converted to the style of this period. Two members of the ensemble, Caleb Young (violin) and Connor Ching (cello), will perform as soloists in Vivaldi’s Concerto for 2 Violins, Cello, and Continuo (with Mr. Moreno taking the 2nd violin part). Mr. Young also will perform in Vivaldi’s Violin Concerto No. 11 in D for violin and strings, RV 204. Kohlin Sekizawa (keyboard), will perform as soloist in Handel’s famous organ concerto “The Cuckoo and the Nightingale.” The acclaimed ensemble Juilliard415, comprised of students from the Juilliard Historical Performance program, conclude the Young Artist Series on Wednesday, June 6 at 11:00 a.m. with a selection of 18th-century French chamber music. Director Robert Mealy leads an ensemble of students from the Juilliard Historical Performance program including Rachell Wong and Alana Youssefian (violins), Bethanne Walker (flute), Ana Kim (cello), Adam Young (viola da gamba), Francis Yun (harpsichord) and Adam Cockerham (theorbo). In the next few weeks we will be profiling this June’s Main Stage artists and their contributions in more detail. Stay tuned! And check out the offerings for this exciting, unusual, and innovative Festival. Tickets are selling briskly. Order yours soon!